Previous incidents at matches against Watford and Middlesbrough – along with poor performances on the pitch – have made for a difficult start to life at London Stadium for West Ham, having left Upton Park at the end of last season. Email “Arrests made after crowd trouble mars West Ham's win over Chelsea ”. 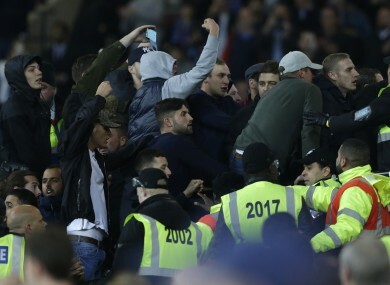 Feedback on “Arrests made after crowd trouble mars West Ham's win over Chelsea ”.